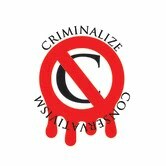 Criminalize Conservatism: The Conservative "Brain"
After over thirty posts about the difference in the structure of Conservative brains (http://www.criminalizeconservatism.com/search/label/conservatives_are_stupid), and the page "The Science," (http://www.criminalizeconservatism.com/p/science-of-conservatism.html), to help Conservative sheeplets to see the light, pass their GED exam, seek counseling, and take a course in Critical Thinking at their local junior college, we confess that we may have failed: as the sheeplets still drop in to debate Conservative-style (http://www.criminalizeconservatism.com/p/war-on-america.html)with their typical sheeplet comments in reaction to our posts still overwhelmingly boring and repetitive, and always seeming to contain the words, "nazi," "socialist," "communist," and "typical." "It is still considered highly uncool to ascribe a person's political beliefs, even in part, to that person's biology: hormones, physiological responses, even brain structures and genes. And no wonder: Doing so raises all kinds of thorny, non-PC issues involving free will, determinism, toleration, and much else. "There's just one problem: Published scientific research keeps going there, with ever increasing audacity (not to mention growing stacks of data). "The past two weeks have seen not one but two studies published in scientific journals on the biological underpinnings of political ideology. And these studies go straight at the role of genes and the brain in shaping our views, and even our votes. "First, in the American Journal of Political Science, a team of researchers including Peter Hatemi of Penn State University and Rose McDermott of Brown University studied the relationship between our deep-seated tendencies to experience fear—tendencies that vary from person to person, partly for reasons that seem rooted in our genes—and our political beliefs. What they found is that people who have more fearful disposition also tend to be more politically conservative, and less tolerant of immigrants and people of races different from their own. As McDermott carefully emphasizes, that does not mean that every conservative has a high fear disposition. 'It's not that conservative people are more fearful, it's that fearful people are more conservative,' as she puts it. 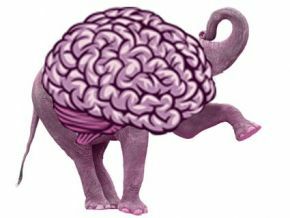 "I interviewed the paper's lead author, Peter Hatemi, about his research for my 2012 book The Republican Brain. Hatemi is both a political scientist and also a microbiologist, and as he stressed to me, 'nothing is all genes, or all environment.' These forces combine to make us who we are, in incredibly intricate ways. "And if Hatemi's and McDermott's research blows your mind, get this: Darren Schreiber, a political neuroscientist at the University of Exeter in the United Kingdom, first performed brain scans on 82 people participating in a risky gambling task, one in which holding out for more money increases your possible rewards, but also your possible losses. Later, cross-referencing the findings with the participants' publicly available political party registration information, Schreiber noticed something astonishing: Republicans, when they took the same gambling risk, were activating a different part of the brain than Democrats." "Republicans were using the right amygdala, the center of the brain's threat response system. Democrats, in contrast, were using the insula, involved in internal monitoring of one's feelings. Amazingly, Schreiber and his colleagues write that this test predicted 82.9 percent of the study subjects' political party choices—considerably better, they note, than a simple model that predicts your political party affiliation based on the affiliation of your parents. "I also interviewed Schreiber for The Republican Brain. He's a scientist who was once quite cautious about the relevance of brain studies to people's politics. As he put it to me: "If you had called me four years ago and said, 'What is your view on whether Republicans and Democrats have different brains?' I would have said no." Now, his own published research suggests otherwise. "One again, though, there's a critical nuance here. Schreiber thinks the current research suggests not only that having a particular brain influences your political views, but also that having a particular political view influences and changes your brain. The causal arrow seems likely to run in both directions—which would make sense in light of what we know about the plasticity of the brain. Simply by living our lives, we change our brains. Our political affiliations, and the lifestyles that go along with them, probably condition many such changes. "The two new studies described here are likely connected: It is hard not to infer that fear of outsiders or those different from you—along with greater fear dispositions in general—may be related to the role of amygdala, a brain structure that has been dubbed the 'heart and soul of the fear system.' The amygdala has been repeatedly implicated in politics. Indeed, Schreiber's research builds on prior brain studies: In a group of University College of London students, for instance, conservatives showed more gray matter in the right amygdala. "So what's the upshot? How about this: We need a much broader and more thoughtful discussion about what it means if political ideology turns out to be nothing like what we actually thought it was. Scientists working in this new field tend towards the conclusion that the new research should make us more tolerant, not less, of political difference—not to mention a whole lot more humble about our own deeply held beliefs." "More tolerant," absolutely. The punishment meted out to Conservative capos shouldn't be given to the hapless, fearful sheeplets that the leadership so ably controls. As suggested in the first paragraph above, when Conservatism is finally understood by the People to be a criminal cabal, it can be criminalized with the options for the sheeplets for self-deportation or for entry into a "re-education" camp. Their children will, of course, have to be re-educated also, and special "Kid's Camps" can be instituted. 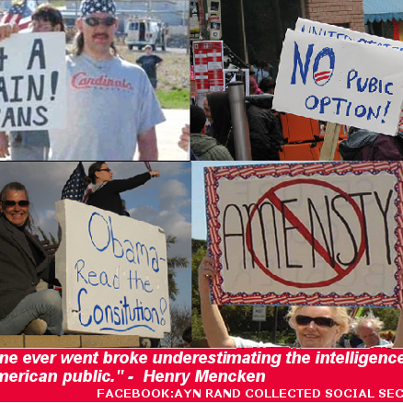 The question if the re-educated Conservative adults should be allowed to breed again is a subject for another post. Again, we must remember that "the Republican Party is made up of a few smart, gutsy people and the rest of the Party by a whole lot of dumb, fearful ones," and not pass the sins of the leaders upon the necks of the sheeplets. To emphasize this point, we shall endeavor to capitatlize the "S" in sheeplet from now on - calling them "Sheeplets," in honor of their lesser status. ain't nothin' can beat teamwork." Unfortunately, this is not the case, as the sheeplets still drop in to debate Conservative-style (http://www.criminalizeconservatism.com/p/war-on-america.html), and the memes, "nazi," "communist" and "typical" permeate their comments. 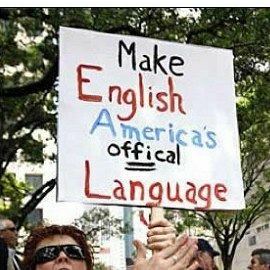 Obviously, reading is not the strong point of the typical (sorry) Conservative sheeplet. And today's post bears out the premise that the Republican Party is made up of a few smart, gutsy leaders - the rest of the Party being composed of not-to-bright, fearful whiners - an essay by Chris Mooney, author of The Republican Brain, titled "The Surprising Brain Differences Between Democrats and Republicans." Described by Mooney as, "Two new studies further support the theory that our political decision making could have a neurological basis.